Vikram Raj Vir Singh (born 17 September 1984), commonly known as V. R. V. Singh, is an Indian cricketer who has been a member of the Indian cricket team since April 2006. He is a right-arm fast-medium bowler. He is considered as one of the few genuine fast bowlers India has produced over the last decade. 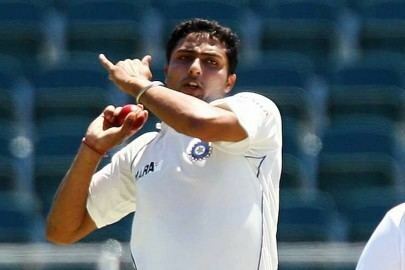 After being called into the Indian squad to play Sri Lanka in 2005, he failed a fitness test and was promptly dropped. He finally played his first One Day International against England at Jamshedpur. He debuted in Tests against the West Indies in June 2006. Singh was born in Chandigarh in Punjab, India. 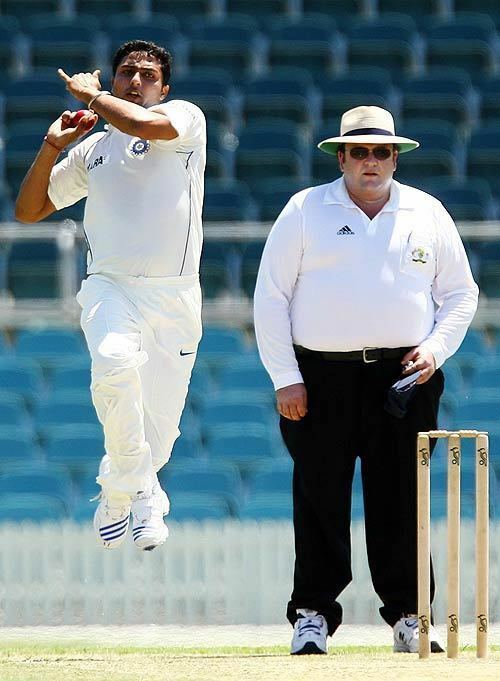 He has always been a fast bowler and has compromised his accuracy for extra pace. 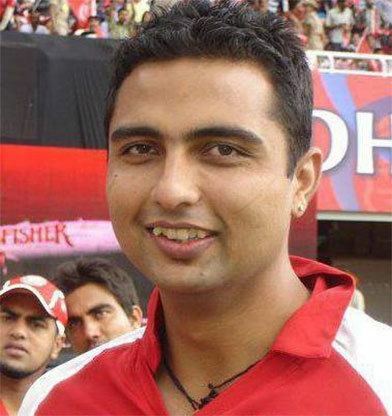 He debuted for the Punjab in the 2003/04 Ranji Trophy season and continues to play first class cricket for the Punjab. According to former coach of Punjab, Bhupinder Singh Senior, "All he wants to do is bowl fast, nothing else matters to him". He played for India in the Under-19 Cricket World Cup in 2004 but disappointed with the ball, going for an expensive 44 runs in five overs in his only match. He later received the Border-Gavaskar scholarship which allowed him to train in cricket academies in Australia. His fellow scholarship holder, R. P. Singh, also later went on to play for India. Singh began his domestic career with the Punjab cricket team in the Limited Overs version of the Ranji Trophy. He played only one match and went wicketless. However, when he made his debut for Punjab in the first class version of the Trophy, he averaged 21.00 over his 6 matches and took 30 wickets. However, he was still unimpressive in ODIs, averaging 109.00 over 4 matches. Despite this, he was selected for the Indian ODI squad against Sri Lanka after playing only 5 ODIs for his state, but was sent back to the domestic circuit after failing a fitness test. He improved his performance in the 2005-06 ODI Ranji Trophy season, averaging 20.75 over his 4 matches, which included a 4 wicket haul. Singh impressed many in the Challenger Trophy with his pace, which was the quickest of the tournament. He played for India A and while he picked up few wickets, he was referred to as the "fastest bowler in India" by VVS Laxman and "the quickest around at present" by Javagal Srinath. He also impressed West Indian pace bowling great Ian Bishop, who believed he was improving with every game and developing into a good fast bowling prospect for India. Singh was selected to play against England as part of the Indian Board President's XI team in the England's tour of India in the 2006 season, and made his ODI debut for India later in the series. He then played England again at Indore in the same series. He has since been left out of the ODI team due to the presence of Munaf Patel and Irfan Pathan. He did not get any wickets during his two one-day matches. He made his Test debut against the West Indies in West Indies, taking two wickets. He has also played two tests against South Africa, in which he has achieved 2 more wickets. Injuries took a toll on VRV Singh's body and he could not play a domestic match for Punjab from 2008 to 2012, although he played few IPL matches for Kings XI Punjab. He had to go through complete process from Nets to Clubs to State team again. He made his T20 comeback vs Assam in March 2012. He played five T20s and disappeared again. One and a half years later, he made his First-Class comeback after five years vs Haryana in November 2013 and took a 5-wicket haul in 1st Innings.